more than burnt toast: Celebrate the Salmon's Return with "Oceans to the Okanagan"
Celebrate the Salmon's Return with "Oceans to the Okanagan"
I hope you never tire of hearing about a small portion of the amazing events available to locals and tourists alike here in the Okanagan Valley. 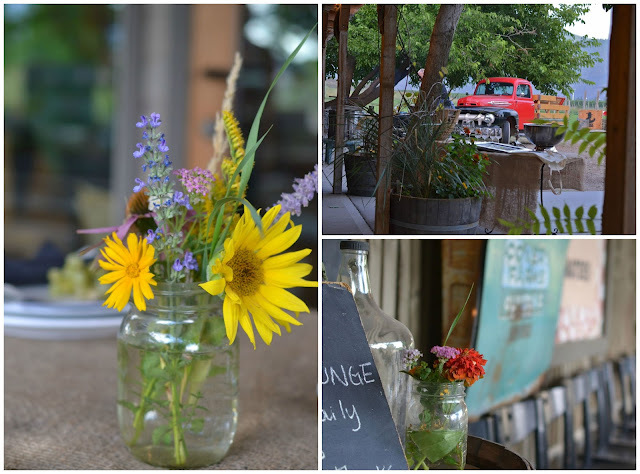 This weekend found me sharing a table with kindred spirits at Covert Farms, a completely organic farm and winery located 8 kilometers north of Oliver in the southern reaches of the Okanagan Valley. Besides offering a stunning landscape, a myriad of organic produce, and very hospitable people it was the muse a few weekends ago for a very special collaborative 5-course dinner where a portion of the proceeds went to support the Salmon Habitat restoration in the South Okanagan. I bumped shoulders with people from the Okanagan Nation Alliance, Ocean Wise Vancouver Aquarium, and Salmon-Safe B.C while enjoying an innovative menu and wines from Tinhorn Creek Vineyards. I am told I was the very first person to sign up and show my support for this special event with an opportunity to learn more about the story of the Okanagan salmon and enjoy a very special menu highlighting the region. 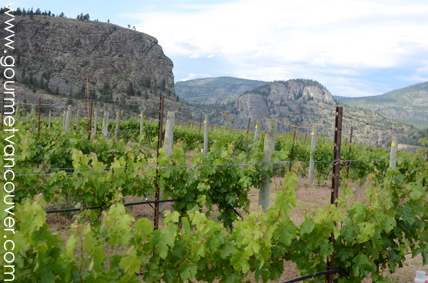 Established over 50 years ago in Oliver, British Columbia Covert Farms Family Estates is the definition of sustainable and organic. They are proud to say that they are also Certified Salmon Safe. What does this mean exactly? With a Salmon bearing river passing through their property, Covert Farms Family Estates takes, very seriously, the need to respect that habitat while maintaining their farm and vineyards. With over 650 acres, this is by no means an easy feat to accomplish, but accomplish it they have. Here in the Okanagan Valley, farmers and chefs take pride in their commitment to quality and share a passion for locally grown food and nowhere is it more evident when the farmer speaks of his love for his land. Regardless of the farm’s size, there is a lot to be done especially with the strain of the heat. Through our conversation I was struck with how farming really not only takes technical know-how but it takes a lot of courage. As a vocation it is certainly not for the faint of heart. 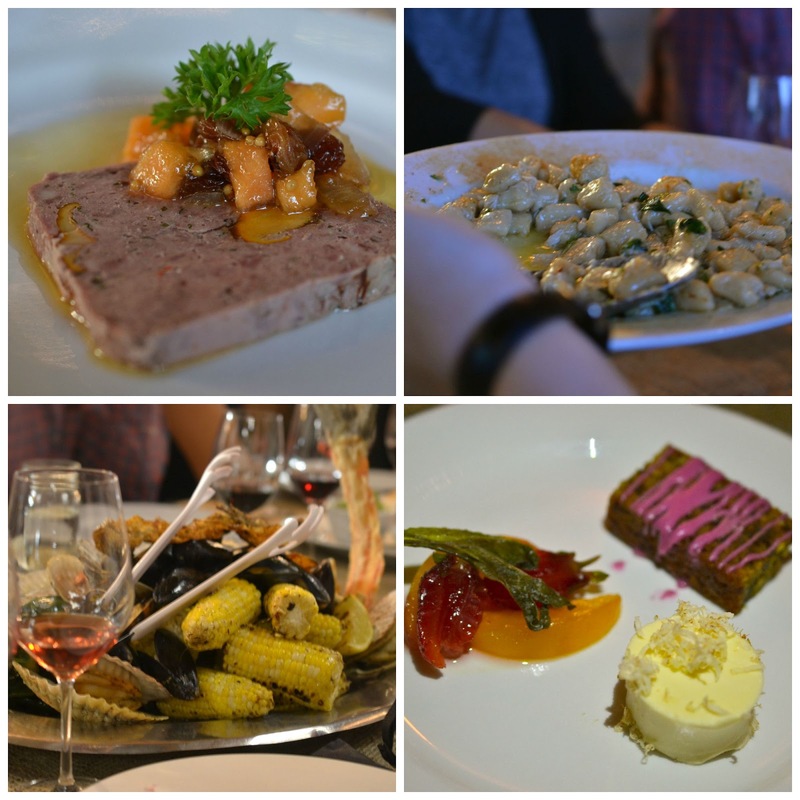 For our Oceans to the Okanagan Dinner Covert Farms Chef Derek Uhlemann partnered with Chef Chris Whittaker of Forage Restaurant in Vancouver and Chef Jeff Van Geest of Miradoro Restaurant at Tinhorn Creek Vineyards cooking up a memorable five-course feast. We mingled while watching the pageantry of the kitchen unfold before us. 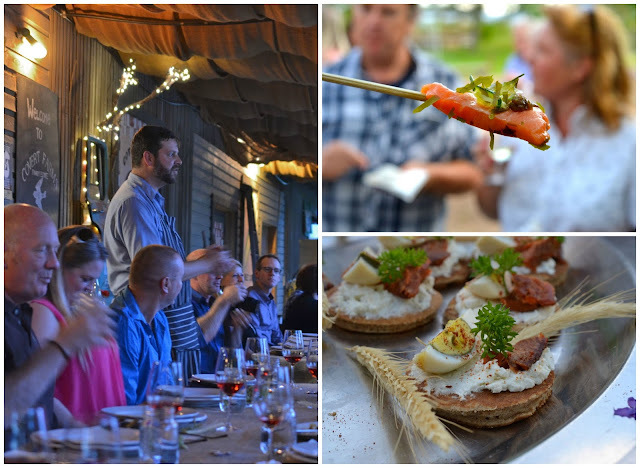 We were teased with Salmon Pastrami Mousse Stuffed Rye Gougeres with Bread and Butter Zucchini Pickles; Osoyoos Lake Sockeye Salmon Farm Rye Blinis with a Smoked Farm Egg; and Salmon Tataki with Enderby Lentil Miso and Pickled Cucumbers. Next a Pork Terrine with Melon Mostarda with pork raised on the riverbanks of the farm itself served with Covert Farm Yukon Gold Potato Gnocchi with Wild River Burdock and Dungeness Crab. 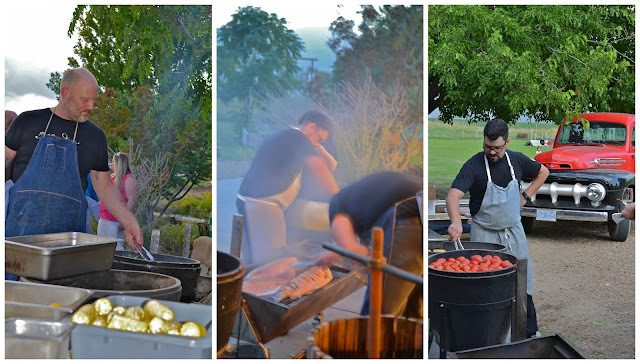 The tables were soon groaning family style with a West Coast Seafood Mixed Grill with Legendary Covert Farms Corn, Heirloom Tomatoes, and Poblano Peppers. In Italian-style a salad of Covert Beet Greens, Squash Blossoms, and Salad Greens with Crispy Salmon Skin was served as a final course. And to top it all off a trio of desserts were offered...Beet Cake, Compressed Verbena Fruit and Almond and Honey Panna Cotta. As I savoured my salmon dishes who would have believed that the humble salmon was once widespread in our inland lakes here in the Okanagan Valley Basin from the United States border to Lake Okanagan. Did you know that once upon a time we had salmon living in Okanagan Lake? I didn't! The migration of salmon is considered one of the great ‘miracles of nature’ and is a source of fascination and interest the world over. Once the most abundant, prolific and hardy of fish, the Okanagan Sockeye salmon almost disappeared from our lakes altogether. 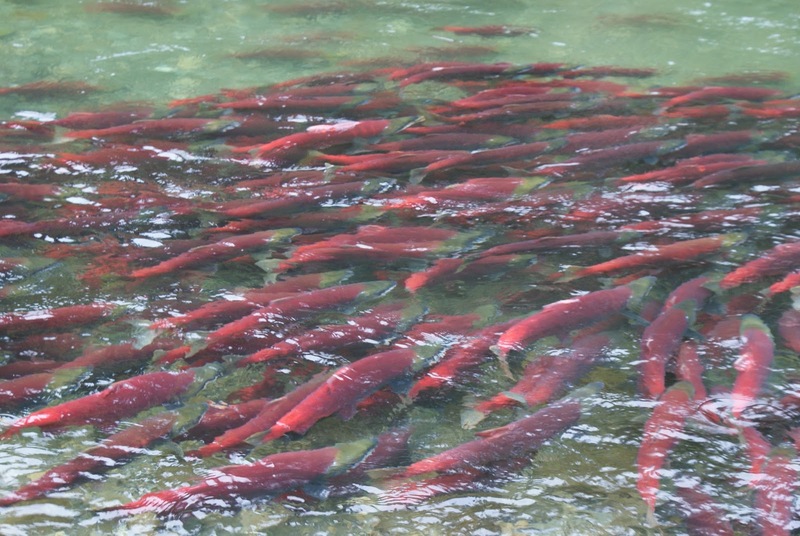 Today thanks to the innovation and far-thinking ONA (Okanagan Nation Alliance), a stewardship group for the management and protection of native tribal lands and its natural resources, Sockeye salmon can once again be found in Osoyoos Lake in the Southern Okanagan in growing numbers. It turns out there used to always be native salmon species in the Okanagan that migrated this time of year into the interior from their home off the coast of British Columbia. They would make an incredible 1,000-kilometre journey from the mouth of the Columbia River where it bisects the American states of Washington and Oregon, up the Columbia River and into the Okanagan River system. Historically, chinook, coho, chum, and steelhead were also indigenous salmon species in the Okanagan River Basin, but until today they have been considered either extinct or found in very low numbers. You can read a more detailed account in Okanagan Life from Jennifer Cockrall-King on this incredible fish and the efforts being made to stabilize and rebuild the declining wild Okanagan Sockeye population and to revitalize the Okanagan Nation salmon fishery. In the mid-1800’s, the Sockeye fishery began to change dramatically due to man-made adjustments to the river channels between the lakes. Settlement along the river, the building of nine hydro-electric dams, channelization, urban encroachment, commercial fishing, irrigation and other water management practises damaged salmon habitat, interrupted migration routes, and reduced stocks entering the rivers to spawn. A decade ago, the number of salmon returning were down to a few thousand. Since 2004, the ONA fisheries department has been working with governments, utilities and other agencies on both sides of the international boundary to restore fish passage for salmon. The Okanagan Nations Alliance have initiated a 12-year project to reintroduce sockeye back into their former spawning and living grounds, a means of livelihood that has been closed to them for the last several decades. The studies are ongoing, although early results on returning salmon appear promising. So much so that for the last year or so Okanagan Sockeye salmon is available at one of our local fishmongers.Which is why I was able to enjoy wild salmon, caught in Osoyoos Lake with other locals. On another note, this weekend the annual Salmon Fest kicked off Friday in Okanagan Falls. The three-day event honours the First Nations' sacred beliefs. Held at Okanagan Park, the area serves as a traditional fishing camp, gathering place and trading site for the Okanagan Nation Alliance. During the event, visitors can take in a traditional performance and ceremony, paddle a canoe, play in a stick game tournament and, on Sunday, enjoy a salmon feast. The ONA says the festival is important in the face of this year's drought, which impacted salmon and water in the valley. It celebrates continued efforts by the Okanagan Nation to rehabilitate local ecosystems and renew connections so our salmon can thrive. I never tire of hearing about your corner of the world! I for one will never tire of hearing about these events or seeing all of your fabulous photos. I just want to jump in the screen and be a part of it with you. The story of the salmon is so interesting and much more in depth than I've ever heard. They are truly amazing fish. Fantastic! I never tire of hearing about the wonderful events you attend.